Snore Free Now is a simple Mandibular Advancement Device, commonly referred to as a “snoring mouthguard” by the manufacturer. Since 1996 it has been used by dentist and is now available to the general public. Its sole purpose is to treat snoring and is not intended to treat sleep apnea, although some have had success doing so under the supervision of their doctor. The mouthpiece is a one-piece design that is relatively simple and straightforward. There are a few similar products on the market but this one is not only FDA approved but also has unique features such as a long oval shaped breathing hole in the front that allows for easy breathing through the mouth. When you purchase this product it is sold as a kit which includes the actual mouth guard, fitting handle, cleaning solution and carrying case. Upon arrival, it comes neatly assembled in retail packaging. 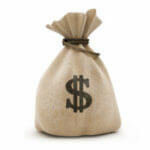 It is currently being sold by IFMC, Inc who markets and sells this product worldwide. Boil a pot of water, remove from heat source and submerge for 25 seconds or more. 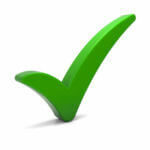 Do not exceed more than 50 seconds as doing so will damage the material, rendering it unusable. Insert into your mouth as described in the instructions. Firmly bite down while creating negative pressure in your mouth by sucking in. Ensure that your lower jaw is in the forward “advanced” position. This is the key to creating a successful piece. Remove and place in ice cold water for 1 minute. Repeat if you are not satisfied with the results. It is important that you remember to use the provided handle. The handle also acts as a spacer to keep the air hole open during the molding process. 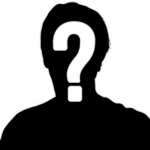 The website states that the Snore Free Now was developed by a “famous dentist” yet fails to provide any indication of who this may be. Buried on their website there is a mention of two Californian dentists who were the developers and had success using this particular device on their patients. Upon further investigation, it is believed that the two dentists are Scott E. Feldman DDS and Norman Alan Shapiro DDS, both of Woodland Hills, CA. They seem to have worked together in a practice at one time but now have practiced just a couple miles from each other in Woodland Hills. 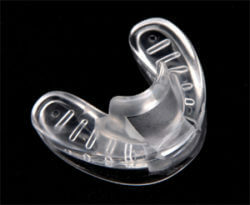 Professionally fitted snoring mouthguards can cost several hundred dollars. The SnoreFree can be purchased for $49.99 and includes everything that you need to get started – the mouthpiece, cleaning solution, storage case and an insertion tool. Once you purchase the essentials, you can buy the actual device in a three pack for $39.99 or $13.33 each. There are currently no shipping charges when you buy directly from the manufacturer. Since the materials that are used to produce it must be soft enough to be comfortable, this compromises the length of time in which the device lasts. The manufacturer suggests that you replace every three months for this reason. By purchasing the kit plus a three pack, it should last for the first year. Each year after you can simply buy the 3 pack and save. Several people have reviewed this product and in general, it seems to be an effective device when it comes to preventing snoring. The fitting process is simple and only takes a few minutes but once it has been properly customized this device is as comfortable as they come. As with almost all MAD devices, this one does take some getting used to and may cause a bit of discomfort when initially put to use. Some report side effects of teeth, gum or jaw soreness, and excess drooling which will typically go away after a few days. The SnoreFreeNow has been in use for nearly 2 decades now but has only recently been sold to the general public. It was created by 2 actual dentists who used this product in their practice. The product is FDA approved, BPA free and made in the United States. Unfortunately, there are several others out there who are selling products sourced from China among other countries and are not cleared by the FDA. Overall, the design is similar to other MAD’s yet this one offers a breathing hole which is great for anyone who has a difficult time breathing through their nose. On the downside, the manufacturer suggests that you should only expect 3 months of use before having to replace the device. This is far below the average life expectancy compared to similar devices. All around the SnoreFree Now has proven itself as a useful product. As with any other product it has its setbacks which include a short lifespan. Although they do not offer a money back guaranty, you may want to give it a try because it is one of the less expensive options available. If you are looking for a cheap short-term anti-snoring device this could be an alternative to a higher quality, more expensive product. If the SnoreFree (or any other Mandibular Advancement Device) does, in fact, stop your snoring, I would recommend upgrading to a better quality device that lasts longer. There are several other choices available that last much longer and perform just as well. One such product that I would recommend is the Zquiet. It requires no special fitting that involves putting a boiling hot mouthpiece into your mouth. It worked very well to control my snoring and unlike the SnoreFree and other boil and bite devices, it isn’t a space hog inside your mouth. Best of all, it’s only $10 more than the SnoreFree device and lasts several months longer. You can read my complete product analysis of the Zquiet if you would like more information.